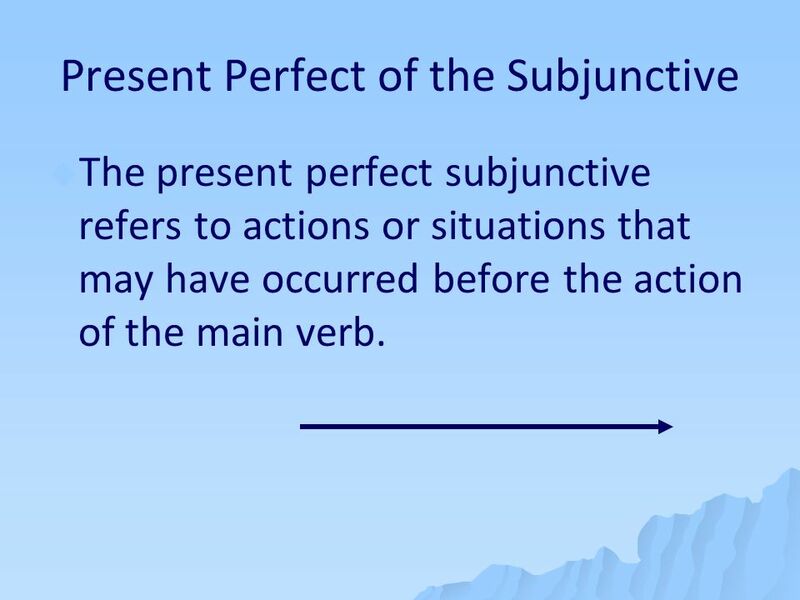 The present perfect subjunctive refers to actions or situations that may have occurred before the action of the main verb. Me alegro de que hayas trabajado de voluntario. I´m glad that you have worked as a volunteer. Estoy contenta de que Julián haya trabajado en el centro de rehabilitación. I am content that Julian has worked in the rehabilitation center. Ojalá que ellos hayan juntado mucho dinero. I hope that they have collected a lot of money. Siento que no hayan participado en la campaña. I´m sorry that you haven´t participated in the campaign. 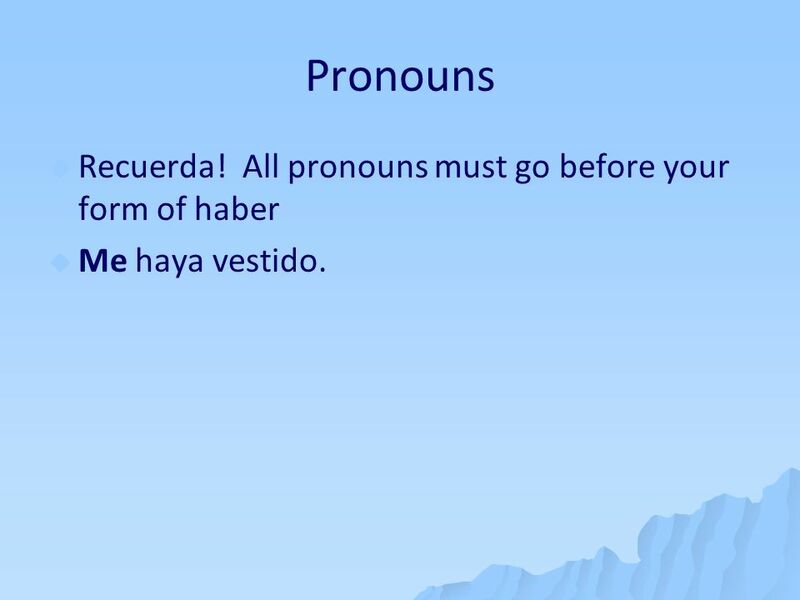 To form the present perfect subjunctive, we use the present subjunctive of the verb haber with a past participle. 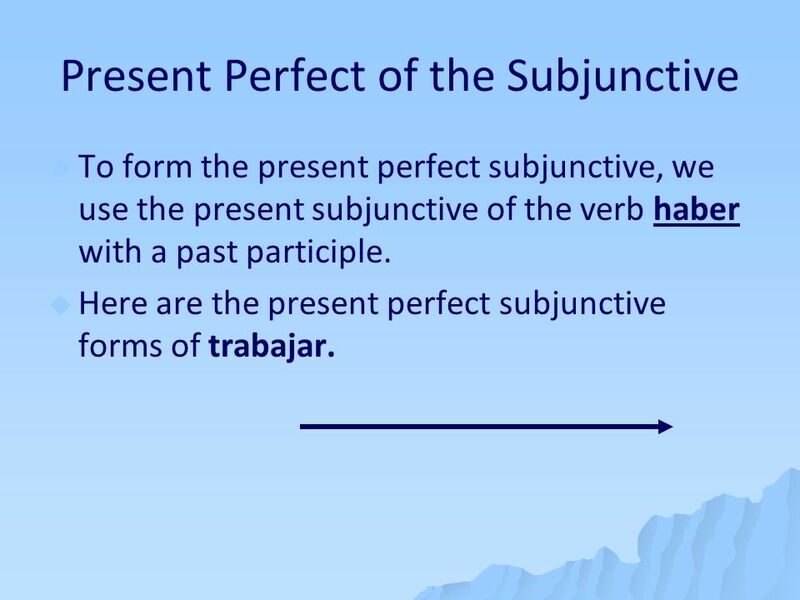 Here are the present perfect subjunctive forms of trabajar. 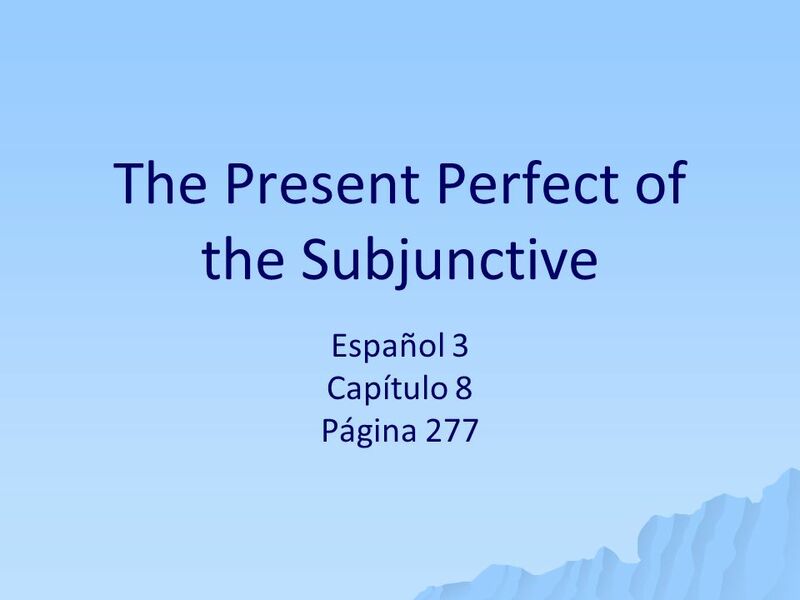 Descargar ppt "The Present Perfect of the Subjunctive"
The Pluperfect Tense Español 3 Capítulo 5 página 178. Español 4 Honores. The INDICATIVE is used to refer to people or things whose existence is CERTAIN. (A specific person in mind) The SUBJUNCTIVE is used. The Present Perfect of the Subjunctive. 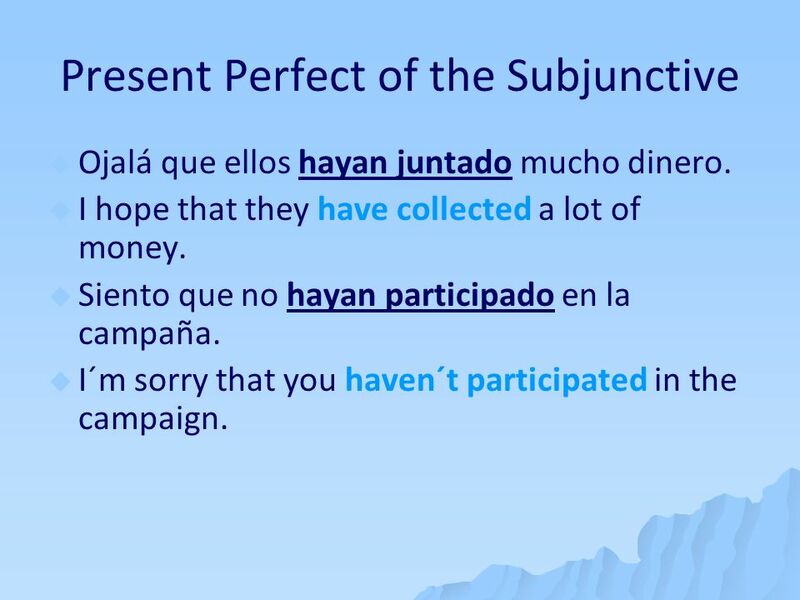 Present Perfect of the Subjunctive The present perfect subjunctive refers to actions or situations that may have. Affirmative and Negative Words Negative Constructions Here are some affirmative and negative words that you already know. Remember they are ANTONYMS.